INFINITE ASCENSION. So titled because of the elegantly sweeping & rising legs. 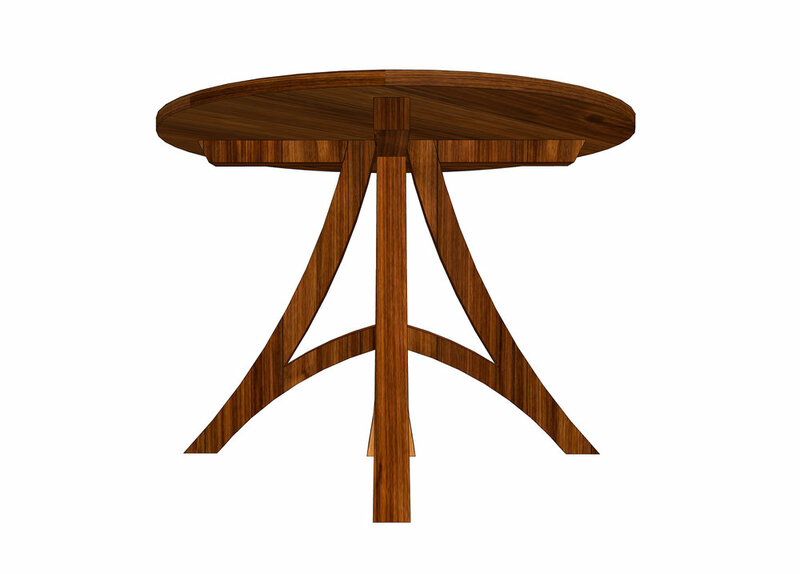 The center support creates a diamond in the table top and gently tapers out at the bottom as if taking root. A leaf may be added. Species: Black Walnut & Curly Maple. Dimensions: 42" diameter, 30" tall.